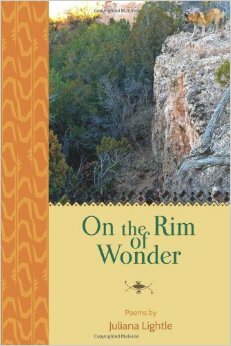 Note: In spite of a few men having referred to me as a scandalous woman after reading my book, “On the Rim of Wonder”, I still have not been sued for slander. It has been a few years. I think I am safe. Always tell your truth. Be open to adventure. Live your life. Be the best you that you can be. “Commit Random Acts of Writing + Art” bumper sticker. Measures 4″ x 8″ with gloss UV lamination. Printed in the USA. Price includes shipping. BE PART OF THE CREATIVE MOVEMENT! Click here to order now! For my writer friends out there. I have blogged about her books before. The world at large might view artists and writers as free spirits rocking la vie bohème, but creative people know that it’s much more complicated than that, especially if we’re striving to earn even a modest living from our work. As a writer, I often fall into the trap of measuring my success or failure on factors completely beyond my control, such as the ups and downs of a fickle book buying market. I know that I’ve often wrestled with the feeling that I’ll never be enough. Never be big enough, never be a bestseller. Sometimes it’s hard not to succumb to a flailing sense of helplessness—why are any of us doing all this? Worst of all is my fear of creative dryness—that my inspiration will turn to dust and I’ll never write—let alone publish—another book. More than twenty years ago, I coauthored a book with an attorney. Not only did it get published, it was also translated into Spanish. The topic, the momentum for its topic, seems basically gone now. Some technical and business magazines published a few articles I wrote. I wrote some safety manuals, other technical stuff, rather boring, uninspiring. Then I discovered the Story Circle Network. The Story Circle Network inspired me to write creatively again–once upon a time in high school my poetry was published. Then I quit writing for years. When I started again, it was technical or business writing. If you want to write your stories, read other women’s stories, just explore fiction, poetry, travel writing, you name it, join this organization. It changed not only my writing life, but my life in a broader sense. Through it I met not only other writers, I also became a board member, made new friends who write and share. This inspiring organization not only provides classes, publishes, but also hosts various writing contests and a biannual conference. In the middle of April, I will head to Austin for the conference. The keynote speaker is no other than Brooke Warner, the woman who founded She Writes Press. Go to http://www.storycircle.org to learn more about the conference and the just announced winners of the Sarton Women’s Literary Awards, become inspired, create, publish, grow. Without this organization, I seriously doubt I would have written my book of poetry, published by Uno Mundo Press in April 2014. Because of comments from readers of this book, inspiration from friends, and personal interests, I am now working on another book. I offer thanks to the Story Circle Network for renewing my writing life.